Advantage Plus, the ultimate alternative to Tyvek® ,offers protection in general purpose industrial applications. The fabric will not let water-based liquids penetrate. 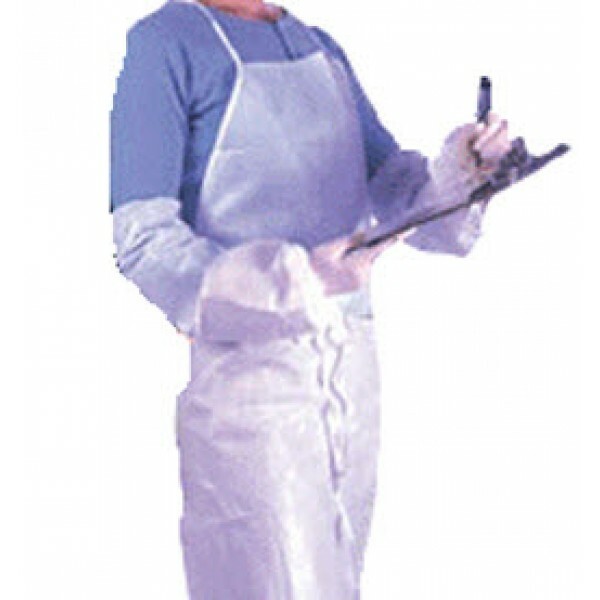 This unique fabric is available in the form of aprons, coveralls,and sleeves. The ultimate alternative to Tyvek®, offers protection in general purpose industrial applications. The fabric will not let water-based liquids penetrate. This unique fabric is available in the form of Aprons, Coveralls and Sleeves. Lightweight yet durable, Advantage Plus is ideal for food manufacturing, light industrial, Cleanroom, and similar industries where a low particulate barrier garment is necessary. By lightly coating polypropylene with a layer of polyethylene, the material has a reduced particle release and protects from water based liquids and certain chemicals. This coated material is an economical choice for worker comfort and safety. Applications Paint spraying, pesticides handling, asbestos, abatement, cleanroom, fiberglass handling, food processing, general maintenance, light chemicals, mining operations, nuclear industries, dental, surgical scrub, veterinary.